Manchester United boss Mourinho faces Newcastle at Old Trafford on Saturday knowing he faces a fight to turn the club’s fortunes around. And the Mirror have claimed that, regardless of the result against old enemy Rafa Benitez, Mourinho’s head will roll this weekend. The report claims United board members have had enough of Jose Mourinho, who has alienated players and staff alike in recent months. The 55-year-old has been at loggerheads with Paul Pogba ever since the two became embroiled in a spat against Tottenham at Wembley in February. He has also clashed with Anthony Martial, while Marcus Rashford’s development has stunted. The Mirror say United have decided to axe Mourinho, though, after Tuesday’s goalless draw with Valencia. The Red Devils were drab and insipid as the La Liga side emerged from the match unscathed and untested. Michael Carrick is supposedly in line to take temporary charge. But Zinedine Zidane remains the favourite to get the job on a full-time basis. For Mourinho, it will be his second sacking in under three years. The 55-year-old was axed by Chelsea in December 2015 despite the club easing to the Premier League title the season before. Mourinho has had his moments at United. The club won the EFL Cup in 2016 with Zlatan Ibrahimovic scoring twice in a 3-2 victory over Southampton in the final. And Mourinho also guided them to the Europa League last year. Things have, though, worsened over the last few months. United were beaten 1-0 by Chelsea in the FA Cup final in May and, since then, the situation at Old Trafford has gone from bad to worse. Mourinho wanted five signings back in the summer. But he got just three – Fred, Diogo Dalot and Lee Grant. Mourinho believed a ball-playing centre-back would be key despite having five experienced defenders at his disposal. Yet the United board chose not to indluge him, instead forcing him to make do with the likes of Eric Bailly and Victor Lindelof. 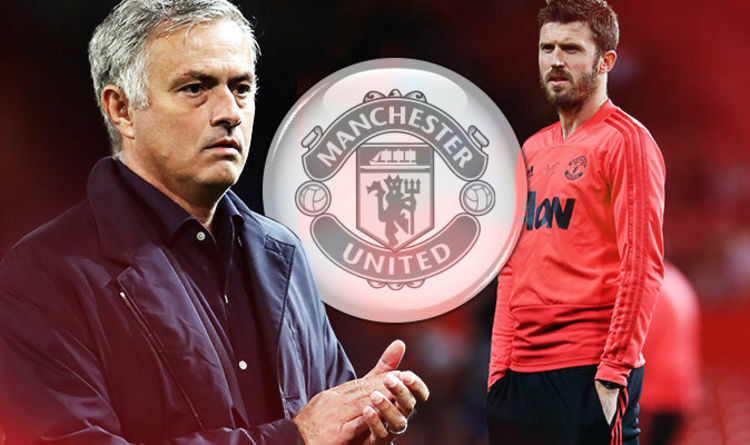 Carrick could provide some calm to the club – just like he did during his playing days. But Zidane remains the favourite to get the job on a full-time basis. The Frenchman has been out of work since leaving Real Madrid back in May. But a return to management now appears to be on the horizon.